THANK YOU! THANK YOU! to all those who downloaded the kindle version of my novel, Problems of Translation over the 24-hour giveaway period yesterday. Six hundred eleven people took advantage of this zero dollars sale, from all over the world! Folks from the US, Canada, UK, Japan, India, Australia, Brazil and elsewhere were all savvy enough to take advantage of this opportunity and I’m very grateful that they did. So thanks again, folks, and enjoy! Maybe we’ll run another such sale one of these fine days, but, meanwhile, if you can’t wait, it’s still only $5.99! FREE. FREE, FREE! Today only! 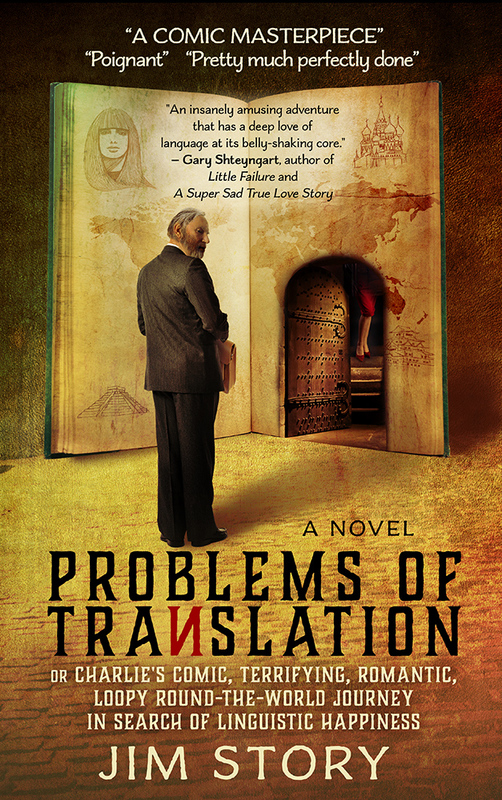 The ebook of my novel Problems of Translation is free today, December 23, for one day only. Adventure, travel, a love story, and a wild ride — it’s a great holiday read and gift! “One part midlife crisis, one part old-timey spy film, and one part romance” (Portland Review, 4 stars), “An insanely amusing adventure” (Gary Shteyngart), a Shelf Unbound Notable Book, and 4 1/2 stars on Amazon. Problems of Translation, or Charlie’s Comic, Terrifying, Romantic, Loopy Round-the-World Journey in Search of Linguistic Happiness. Find out more and download it at Amazon — and please share this with your friends! Hey! This morning I put the finishing touches on my next novel! How great is that! However, I began this blog post reveling in the excitement of finishing my new novel, The Condor’s Shadow, and so I shall continue. I’ve been working on Condor for a while now, since it has its origins in a short story I published some years ago (The Same, Volume 8, No. 2). There must have been a slow-acting yeast in that story, because in a dark corner of my mind the dough kept rising. Once the writing of Problems of Translation was completed, I resolved that I couldn’t leave my main character of that longago story twisting in the wind. So I wrote another story about him, and then another, and finally decided to fold all these separate stories into the same loaf pan and bake them into a novel. Condor is a smaller book than Problems, but I’ve a hunch it’s the best thing I’ve ever written. It’s completely within the realist tradition, though a colleague who’d read an earlier version was once heard to remark, referring to an incident midway through the book, “That’s preposterous! No cat would ever die by doing what you’ve described there!” Well. This cat does. But, don’t you worry. That unfortunate feline’s fate is only a tiny crumb from the loaf I have baked. Trust me. It’s not all about cats. The story starts out this way: A teenager, living on an abandoned gypsum mine in the California foothills with an abusive father, shoots and kills an intruder and then flees up into the mountains, following the path of a bird he’s become obsessed with. Thus begins twenty years of life on the road for my hero, moving from state to state, town to town, changing his name often, until he gets brought up short–by love. So The Condor’s Shadow is a love story, as well as a story of survival and a struggle for redemption. It’s not been published yet, obviously (since I just finished it! ), but it shouldn’t be long. Just keep attending to those enticing aromas from the kitchen. I think you’ll want to gobble this loaf down in one sitting. Meanwhile, there’s Problems of Translation! Buy a copy for all your friends and relatives this season (it’s available on Amazon), and listen to them chuckle at what Gary Shteyngart called “An insanely funny adventure with a deep love of language at its belly-shaking core.” And if you’ve read my Shelf Unbound Notable Book and liked it, please do leave a reader’s review on Amazon. This “genuine author” will be very grateful! Back in the summer of ’89 I earned a month-long stint at the Edward Albee Center at Montauk Point. It was an exhilarating and productive time, with a lot of highlights, including being feted at my birthday dinner by Edward himself, along with other attendees of the retreat, and a conversation with The Man in which, after I proudly told him how much I had written during the time I’d spent there, he replied, “Ah, but how much will you keep?” By which, of course, he meant use. I must confess that the answer to that question, so far at least, is zip. The novel I was writing then, a bildungsroman about my boyhood called, “The Ranch,” much of which was penned that summer, has sheltered in my drawer all these years. “There is a lot of privilege out here in this town at the end of a long island. Every other car one sees is either a Mercedes Benz or a Volvo. In fact I suspect everyone who owns a Mercedes Benz also owns a Volvo. And the others! Jaunty little runabouts one sees at the beach: Lamborghinis, 5-liter Porsches, 2 (count them) Shelby Cobras, Saabs, Jaguars, nothing surprises. I myself was picked up hitching back from a dip in the ocean by a sweet red Alfa Romeo. Cadillacs, in this environment, look positively tacky; one wants to sneer. I haven’t spotted a Testa Rossa or an Aston Martin yet, but I’ll be here a few more hours. “And what about all these Colombians in their pickups, or on foot, who are apparently the gardeners, and change the linen in the motels? Did they arrive at the the bottom of a cocaine shipment, like the prize at the bottom of the crackerjack box? Twenty-five plus years later, what has changed? Only that the Lamborghini crowd perhaps rules more directly now, rather than simply from the wings. But with The Donald at the helm, wouldn’t that be much too obvious? Come join Celeste Rita Baker and me at the Cornelia St. Café for a delightful early-evening reading of new fiction! I’ll be reading from my soon-to-be-completed next novel, The Condor’s Shadow, and from Problems of Translation, my recently published novel, called “An insanely amusing adventure that has a deep love of language at its belly-shaking core” (Gary Shteyngart), “a merry yearlong chase around the globe” (Kirkus Reviews), and “a zany and surprisingly philosophical adventure” (Portland Review, four stars). Also a Shelf Unbound 2015 Notable Book, by the way. Celeste will read from Belly, Back, and Side, her recently published story collection that “balance(s) heartache and hilarity with poetic, uncompromising prose” (Daniel José Older), providing “tales of wisdom, wonderment, and new world lore” (Sheree Renée Thomas), and her novel-in-progress about a saint who reluctantly finds herself in the body of a Black woman in the New York of 50 years hence. Come if you can! It will be a great evening, and you’re pretty sure to enjoy it. The date is May 11, a Wednesday; the time is from 6-7:30 pm; it’s at 29 Cornelia Street, and a $9 cover will include a free glass of wine. See www.jimcstory.com and www.celesteritabaker.com for more. Now along comes Lucia Berlin. Or here she always was, I guess, only I didn’t know it. Poor lady only had a couple of thousand readers, by one estimate. Deserved, deserves many more. Wrote in short, snappy sentences. Black or bleak, take your pic. Zig zag. Bippity bump. Next sentence might be in the middle of next week or a few years gone by. But it all tallies up and makes you think: how much is needed? Sad, funny. Funny-sad. These are not Park Avenue matrons who are getting their lives catalogued, or Hollywood stars or deep-dish lovers of sparkly ingénues. Rather they’re cleaning women, old Indians at laundromats, convent girls who are Protestant and yearn to become nuns but can’t catch a break—for what? Self-styled dentists in El Paso waiting impatiently for granddaughters to yank their teeth out, while blood runs down the chinny-chin-chin. Prejudice, pathos, humor. El Paso, Mexico, New Mexico, Berkeley. Fine, fine stuff. From a woman born in 1936 who died in 2004. But check out those pics of her as a young woman: Elizabeth Taylor, eat your heart out! All this from reading Lucia Berlin’s recently published gathering of short stories, A Manual for Cleaning Women, a labor of love assembled from several prior collections. But don’t take my word for it. Check it out. And be prepared to envy. Each of the nine stories in Mia Alvar’s absorbing first collection grabs you from the start and lingers long after you’ve finished. Scrutinize as you will with your Sherlock Holmes-style magnifying glass, it’s hard to find a bad line or a word choice you might quibble with. Ms. Alvar was born in the Philippines, spent time with her family in Saudi Arabia, and now resides in the United States. Fortunately for us, she uses her experience in each of these locales to give us tales which no one else could have written. It’s a cultural trifecta, and uniquely hers. Her simple, straightforward prose style, reminiscent of Jhumpa Lahiri, dazzles with its choice of detail. You’ll find a cornucopia of brilliant characterizations, woven into stories that are compelling and moving, most often with a deftly orchestrated surprise lurking ‘round the bend. The assortment of “narrative strategies” is astonishing, from first-person narrators, to second-person singular, and even first-person plural! As a writer, I admire her technical versatility. And consider the range of main characters—all but one are Filipinos—that populate these stories. Here are slum-dwellers and people who live in palatial homes. Here are trained health-care specialists (“The Miracle Worker”), Senators (“Old Girl”), models (“Legends of the White Lady”), poor students yearning to be writers (“A Contract Overseas”), dangerously proactive journalists (“In the Country”), pharmacists (“Kontrabida”), upper-middle-class families living in Bahrain (“Shadow Families”), youngsters born with stumps for legs (“The Virgin of Monte Ramon”), and mothers everywhere. Mothers, wives, nurses, whores, children, families. Word is that, for her next book, Ms. Alvar is seeking to expand the included novella, “In the Country,” into a full-fledged novel. Given the narrative sweep of that story and the way it’s myriad details and characters are marshaled to a stunning conclusion, it’s hard to see how expanding it can make it any better. But given the remarkable talent that’s revealed in this book, it would be foolhardy to bet against her. 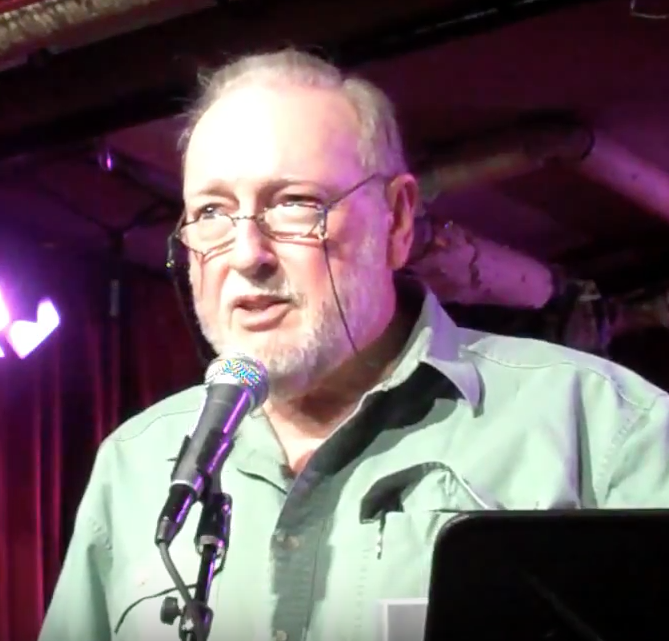 A belated thanks to everyone who came out for my reading a month ago (October 6th) at the Cornelia Street Café. For those who weren’t able to come, videos of that performance are now available not only on my website but on YouTube as well. I read three selections that evening, and they’re all there. The first piece, from my recently published novel, Problems of Translation, introduces the novel’s romantic element and might be called “Enter Svetlana.” The second, also from Problems, could be called “What To Do When You’re Aloft in a Private Jet and its Pilot Dies.” The third piece, which I could have labeled, “Fury and Rain,” is from a novel I’m currently working on. It was also truly enjoyable to have read on that evening with Robin McLean, who trekked down from New England to read for the Big City folks from her splendid, trenchant, chilling collection of short stories, Reptile House. Please note, YouTube users, feel free to “like” the video if that mirrors your reaction; in fact, you can do that if you access it from my website as well. AND BY THE WAY, those of you who did attend the reading, are also cordially invited to see the videos! Lots of fun the second time around! Mark your calendars! October 6 is the date of my next reading at the Cornelia Street Cafe, and I’m inviting everyone within earshot to come. It’s a Tuesday, and it will be held from 6-7:30 in their wonderful downstairs reading space. Angelo Verga, Cornelia’s redoubtable ringmaster, will be there to do the introductions of both me and Robin McLean (about whom more later) and I can hardly wait! I’ll be reading of course from my recently published novel, Problems of Translation, or Charlie’s Comic, Terrifying, Romantic, Loopy Round-the-World Journey in Search of Linguistic Happiness (whew! Even I have to look at the cover sometimes to remember that mouthful), as well as a tidbit or two from work-in-progress. And, needless to say, I’ll be happy to sign books for anyone interested in purchasing a copy–or bring your copy, if you already have one. It should be a fun evening! I hope to see everyone there who reads this post. Tuesday, October 6th, 6-7:30pm, Cornelia Street Cafe (29 Cornelia St., Manhattan). An $8 cover includes a free glass of wine. The title says it all. 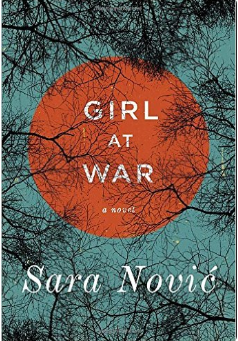 Sara Nović’s novel, Girl at War, is a compelling account of Ana, a ten-year old Croatian girl living in Zagreb, and her shocking, life-changing experiences during the cruelty and carnage that overtook her country and the rest of the multi-ethnic ex-Yugoslavian state a generation ago. I chafed each time I had to put it down to eat, sleep, or perform a household chore. It has the feel of a memoir: both the war scenes that froze Ana into a repressed silence and the later scenes of struggle to come to grips with the memories–forget? forgive? move on?–are gripping. Beautifully written in simple, unflorid prose, its final paragraph attains a kind of poetry. If you want to know what war is like for those caught in its crosshairs, read this book!